The sad thing about truth is that most people don’t want truth. What they are looking for is confirmation that what they believe is correct. The careful evaluation of the history and development of homoeopathy will show exactly where problems began to develop and why homoeopathy is in such a poor state today. 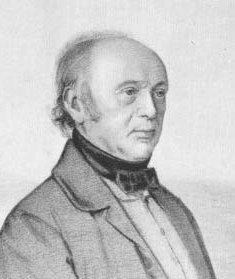 Putting aside the fact that allopathic use of the remedies began in Hahnemann’s lifetime, a much more serious problem developed in America with Hering. The religious convictions of Hering plus his influence in the homeopathic community led to a change in the methodology and practice of Hahnemannian homoeopathy. So much so that what is taught today as classical homeopathy has no relevance to the medical practice as defined by Samuel Hahnemann. 99% of accepted homeopathic methodology in the 21st-century is based on Kent’s philosophy which in turn is based on the writings of Emmanuel Swedenborg. This simple fact means that real homoeopathy in the Hahnemannian Manner has not been taught in the schools and colleges correctly for over 100 years. The use of the Sensation method is in direct contradiction to the case taking methods as defined by Samuel Hahnemann. It is nothing more than quasi-psychology and the doctrine of signatures. The continued use of this method has directly led to a decline in the quality of good homeopathic medical care and ultimately will lead to the destruction of the therapy in general. Homoeopathy the practice is now in the hands of practitioners that do not know their subject and have no interest in investigating the real methodology of Samuel Hahnemann. The Institute for homeopathic medicine will continue to publish articles and the methodology as defined by Samuel Hahnemann in the hope that it will be of use to those practitioners seeking clarity and a medically proven method of giving aid to their patients. Homoeopathy is only as powerful as a correct prescription based on sound, rational, justifiable and repeatable grounds. It is up to each one of us to examine why we practice homoeopathy and whether or not we can improve our clinical results by shifting back towards the original Hahnemannian method which was so successful for both Samuel Hahnemann and his students who followed his method precisely. It has been apparent for many years that chronic exposure to SSRI antidepressants frequently makes people feel apathetic or less engaged in their lives, and ultimately more depressed. In my clinical experience, this is a frequent reason that family members encourage patients to seek help in reducing or stopping their medication. SSRI-induced apathy occurs in adults and includes cognitive and frontal lobe function losses. (See Barnhart et al., 2004; Deakin et al., 2004; Hoehn-Saric et al., 1990). It has also been identified in children. Adults with dementia are particularly susceptible to antidepressant-induced apathy. A recent scientific study by El-Mallakh and his colleagues reviewed the antidepressant literature and concluded that any initial improvements are often followed by treatment resistance and worsening depression. They compare this problem to tardive dyskinesia, caused by antipsychotic drugs, and call it tardive dysphoria, “an active process in which a depressive picture is caused by continued administration of the antidepressant.” Based on rat studies, they hypothesize that “dendrite arborization” — an increased branching growth of nerve cells — caused by chronic antidepressant exposure, may be the cause. In a meta-analysis of 46 studies, Andrews et al. (2011) found the relapse rate for antidepressant-treated patients (44.6 percent) was much higher than for placebo-treated patients (24.7 percent). Andrews also found that the more potent antidepressants caused an increased risk of relapse on drug discontinuation. A 2010 Minnesota evaluation of patient care in the state found that only 4.5 percent of more than 20,000 patients were in remission at 12 months, indicating that they had become chronically afflicted with depression during and probably as a result of their treatment. Andrews et al. (2011), like El-Mallakh et al. (2011), stress what I had first described as compensatory mechanisms. SSRI antidepressants block the removal of serotonin from the synapses between neurons, in effect trying to flood these synapses with serotonin. Many studies confirm that the brain attempts to compensate for the impact of the SSRIs by reducing the brain’s capacity to respond to serotonin. This leads to aloss of serotonin receptors that can reach 60 percent. Blockade of serotonin reuptake causes a potentially harmful adaptive response in the form of a persistent hypertrophy of the reuptake mechanism. Additional studies show persistent biochemical changes in the brain following exposure to SSRI antidepressants. In addition, I have been describing direct toxic effects on the brain that can account for the emotional deterioration of these patients. Prolonged SSRI antidepressant use can produce abnormal cell growth in the rat brain (neurogenesis) and decreased thalamic volumes in children (tissue shrinkage from cell death). Thus far, most researchers have not yet begun to take into account or to face these more gross threats to the integrity of the patient’s brain after prolonged exposure to antidepressants. Meanwhile, drug-induced changes in brain cell structure and number, when found as a result of taking illegal drugs, are always touted as a reason not to take these drugs. Antidepressants are the second most prescribed group of drugs in America. Yet evidence continues to converge on the dangerousness of antidepressant drugs. Given the difficulty showing any effectiveness even in the short-term, the use of these drugs becomes more and more problematic. On top of that, the antidepressants produceserious withdrawal reactions, making it difficult and at times life-threatening to withdraw from them, even with the recommended clinical supervision and slow taper. Psychiatry has always been slow to respond to scientific evidence that its treatments are harmful. Often, as in this case, psychiatry flouts science. The public will have to develop its own resistance to taking antidepressant drugs. Peter R. Breggin, M.D. is a Harvard-trained psychiatrist and former full-time consultant with NIMH who is in private practice in Ithaca, New York. Dr. Breggin is the author of more than twenty books including the bestseller Talking Back to Prozac and the medical book Brain-Disabling Treatments in Psychiatry, Second Edition. His most recent book is Medication Madness, the Role of Psychiatric Drugs in Cases of Violence, Suicide and Crime. He is also the author of dozens of peer-reviewed scientific articles, many in the field of psychopharmacology. On April 13-15, 2012 in Syracuse, New York, the annual conference of Dr. Breggin’s 501c3 nonprofit international organization, The Center for the Study of Empathic Therapy, will present a panel of lawyers, experts, survivors and families concerning antidepressant-induced violence and crime. Conference information is available onwww.EmpathicTherapy.org. The dubious benefits of Statins. Malcolm Kendrick. Some questions puzzle me, and I search for the answer. For a number of years I am trying to establish. ‘What is T?’ My wife helpfully remarked that it is a drink with jam and bread. Ho, ho. Moving swiftly on. My question relates to the concept of Number Needed to Treat (NNT). The NNT is a figure widely used in medicine as an outcome measure. It means how many people do you need to treat ‘T’ to achieve a benefit of some kind. The benefit can be many different things, for example: pain relief, curing a chest infection, improving pain and mobility following a hip replacement. In reality, in preventative medicine, the ‘T’ turns into something else. It has become ‘P’, as in prevent. But treating and preventing are not the same thing, and you can’t use them interchangeably. If you have a chest infection and I give you antibiotics then I have, in most cases, treated the infection. On the other hand, if you have a high blood pressure and I ‘treat’ it, all I have done is the lower the blood pressure. I have not immediately done anything else. A high blood pressure causes no symptoms, and there is nothing to be treated – other than future risk. In fact, if lowering the blood pressure were a form of treatment, the NNT would be very nearly one, in that I will lower the blood pressure in almost every case where I prescribe a drug. But the NNT does not refer to the effect on blood pressure lowering; it refers to the number of people you need to treat to prevent, say, a stroke, by lowering the blood pressure. As I hope is clear, in preventative medicine, the NNT should really be the NNP. So what, you may think. Everyone working in this area knows that the NNT is really an NNP. You just need to know that when we use the term NNT, we are really talking about the number needed to treat to ‘prevent’ an event. Yes, this is true. However, the underlying problem with nomenclature does not disappear if we change NNT to NNP. The focus simply shifts to the word prevent itself. To prevent something means to stop it happening – forever. Now, let us imagine death. Can we prevent death? No, clearly we cannot. We do not make people immortal by lowering their blood pressure. All we can do, the very best we can possibly do, is to increase life expectancy – by some amount. Which means that prevention does not actually mean prevention. When we look at death as an outcome, prevention can only mean life extension. Or, turning this the other way round, the amount of time by which we delay something from happening. At this point, I hope it has become clear that ‘T’ in preventative medicine has almost nothing to do with ‘treating.’ We treat nothing, we prevent nothing, we simply delay. At least that is all we can do with death. It is possible that we may prevent things such as non-fatal strokes, although we don’t really know, because we do not usually follow people up for long enough to be certain. Why is this important? It is important for the following reason. When many clinical trials finish, and there is a difference in the number of deaths between the treatment and placebo arm, it is claimed that the difference represents lives that have ‘been saved.’ Which is another way of saying that death has been prevented which is, in turn, a different way of saying that death has been treated. NNT. This graph shows the ‘mortality’ curves for the statin and placebo arms. At the start of the trial everyone is alive, 100% in both groups. Five years later, the end of the study, 92.6% of those in the statin arm were still alive, and 90.8% of those in the placebo arm were still alive. A difference of 1.8%. This is a very clear statement. Treat ten million people, and you will save 50,000 lives per week. But are these lives actually saved. No, of course not. Below, I have re-drawn the graph and extended both ‘survival’ lines by a year. We now have a year six. As I hope is clear, by year six, if we assume the lines continue along their previous trajectory, every single extra person who was alive in the statin arm, compared to the placebo arm, is now dead. Thus 1.8% of people did not have their lives ‘saved’. In fact, the average increase in survival time for these 1.8% was approximately six months. [Half of the 1.8% would have died after six months, which give you the mean/average]. So what is ‘T’ in this case. It is certainly not treatment, prevention, or number needed to treat to prevent death. Nor is it 1.8% of lives saved. It is a life extension of six months, for 1.8%. • 1.8 will live, on average, an extra 6 months. What is ‘T?’ What indeed. Not perhaps what you first thought. T, at present, is taken to mean treatment. With preventative medicine treatment is taken to mean prevention, and prevention is taken to mean lives saved. But you cannot save a life, all you can do is extend life. In very short summary. NNT is a widely used treatment outcome, and it guides both clinical and economic decisions on what drugs should be used, or not used. It is a pity that in preventative medicine, NNT is meaningless, because ‘T’ has no value attached to it. Indeed, it might as well be a drink with jam and bread. One of the first double-blind and placebo-controlled trials ever conducted for a governmental agency (England’s Ministry of Home Security) tested homeopathic treatments during World War II and was conducted in 1941-42 on volunteers whose skin was burned with mustard gas. The Glasgow trial included 40 volunteers, and the London trial included 240 volunteers. A more recent analysis of the data further substantiated the statistical significance of this study (Owen and Ives, 1982), and even more recently, it was described in detail in the famed Journal of the Royal Society of Medicine (Dean, 2014). In the Glasgow experiments, only Mustard Gas 30C was used, given moments before getting exposed to mustard gas. The first experiment found that none of the first 12 patients receiving homeopathic treatment experienced deep lesions after exposure to mustard gas, while all (!) of those volunteers who received a placebo experienced deep lesions. Of the next 28 volunteers who received the homeopathic medicine, 12 had superficial wounds and two had deep lesions after the homeopathic treatment. In comparison, those volunteers who were given a placebo, two experienced superficial lesions and 12 had deep lesions. In London, two experiments were conducted. The first experiment included 139 volunteers who were assigned to take one of several homeopathic medicines known to treat burns, including Rhus tox, Kali bich, Opium, Cantharis, and Mustard Gas (all in 30C). A second experiment was conducted with 101 volunteers, in which they were either given a placebo or a specific protocol of Variolinum 30C and Rhus tox 30C, taken after exposure, as well as Mustard Gas 30C and Rhus tox 30C given 14 days before exposure. A recent review of this study acknowledged that despite the remarkable results at two locations, the Ministry of Home Security still rejected the results on the grounds that the experimental technique must have been flawed, despite the fact that the Ministry helped in the design of the trial that included the use of placebo controls, blind outcome assessment, and independent statistical testing. The Ministry of Home Security never provided any evidence that these studies were flawed, but considering the positive outcome of the studies, they simply assumed that something was wrong with them. Dean, Michael Emmans. The Mustard Gas Experiments Done by the British Homoeopathic Society for the Ministry of Home Security, 1941-1942. Journal of the Royal Society of Medicine, 2014 107(11)453-455. DOI: 10.1177/0141076814521937. Paterson, J. Report on Mustard Gas Experiments, Journal of the American Institute of Homeopathy, 1944, 37:47-50, 88-92. Are you still walking for the cure? That money you’re raising is the reason why they’ll never find it. While researching the use of alternative therapies that were utilized by Suzanne Somers, we came across doctors and media outlets who desperately tried to malign her reputation. Their responses were so hasty that they accidentally revealed statistics that are not normally shared with the public. While some people might consider 25 to 30 percent to be a relatively low percentage, this is actually much higher than the success rate for chemotherapy. The true life-long cure rate bounces between 2 and 4 percent for orthodox treatments. When compared, 30% suddenly becomes a very impressive figure with a gain of 10 times. Of course, this number speaks only for those who supposedly get no treatments at all. Alternative therapies get better life-long cure rates than 30%, but these numbers are not discussed publicly by medical officials, and rarely in private. Why aren’t these figures ever given to patients who are diagnosed with cancer? Why are they instead told the lie that they will certainly die if they refuse chemotherapy and radiation when almost the opposite is true? We have searched tirelessly for the success rates of those who decided to walk away from all treatments for several years, but we only found it when the American Cancer Society stumbled in its attempts to defend its bruised reputation from meekly Susan Somers. Why didn’t they publicly release those numbers before? The recovery of Suzanne Somers was obviously quite embarrassing for them, because not only is she one of many who has cured herself of cancer permanently (not just 5 years of survival) but she also went public about her experiences with alternative treatments. Had she religiously followed the orthodox therapies, she would have had a 96% chance of not being alive, and her protracted death would have been truly horrific. The quotation cited earlier makes another interesting point. Doctors really have no clue which cancers will progress, and which ones will not. Therefore, we must ask if early testing is really a good idea. With early testing, not only do the tests actually stimulate cancers through radiation, cutting, and poisoning, but doctors frequently discover anomalies that would otherwise naturally disappear if left alone. They always treat those abnormalities, and the patients almost always die from the treatments. People nowadays die from the treatments instead of the cancers, and this is shown in the establishment’s own statistics. Whenever a body is exposed to chemotherapy, cancers will strike sooner or later regardless of whether they existed initially. All chemotherapy drugs are carcinogenic, and they weaken all healthy cells. This is admitted in the official literature for adverse effects for all of the so-called anti-cancer medications, and massive cellular destruction is officially a part of standard treatments by design. They claim that their medicines attack the weaker cancer cells, but they actually do that by attacking all of the cells, and thereby the very immune system that is so critical for recovery. SYMPTOMS, HOW TO TAKE THE CASE by Dunham. I showed you that, in our practical application of the science of therapeutics, the constant problem before us is that which is the problem in every natural science, viz. : Given one series of phenomena and the law, to state the other series. Given the phenomena of the patient and the law, to find the phenomena of the drug which bear to the phenomena of the patient the relation expressed by the law. Or if we are studying a drug, and have the phenomena which it produces in the healthy, living, human being, then, having the law, to find the series of phenomena in the sick which, bearing a certain relation to the phenomena of the drug, will be canceled by the latter in the terms of the law. In other words, our constant problem is: Given the symptoms of a case, what drug known to us will cure according to the law, or what must be the effects of such a drug, not yet known to us, as will cure such a case. Or, conversely: Given the effects of a drug, what case, as yet seen or never yet met with, will that drug cure ? Such prevision as this homeopathy has again and again in notable cases enabled us to exercise; and by this test she has justified her claim to be entitled the science of therapeutics. After this general view and analysis of the subject, it remains for us to study in detail the elements of which the science is composed, viz. : the two series of phenomena respectively and the law. I shall therefore ask your attention now to the first series of phenomena, those of the patient; or briefly to the subject of “symptoms,” or how to take the case. And, here, at the very beginning of the subject, let me say that much unnecessary confusion exists in the minds of our own school, and of our opponents, because we have not agreed upon the meaning we shall attach to the word symptom. By the old school and by some homeopathists who have gone astray after the “strange gods” of the physiological school of medicine, a very restricted meaning is given to the word symptom; and this being done it is made a reproach to homeopathists that they take note only of symptoms, as though we disregarded some important phenomena presented by the patient. Assuming that homeopathists understand by symptoms only the subjective phenomena or sensations which the patient experiences and describes, ” How, then,” exclaims Prof. Bock, “can they prescribe for a typhoid patient who neither hears, sees, tastes, smells nor feels, and who could not express his sensations if he were conscious of them, but lies in a passive apathy, as indifferent as a log!” Well, the fact that he lies there and cannot express his sensations, if he have any, and that the avenues of communication between his brain and the world about him, his special senses and the general sense namely, are closed, constitutes a most important series of symptoms. For, gentlemen, in accordance with Hahnemann’s instructions, no less than with the common sense of the matter, we include under the term “symptom ” every phenomenon presented by the patient which is a deviation from, or an addition to, his condition when in average health. Whatever we can ourselves observe by careful scrutiny of the patient, bringing to our aid every instrument of observation which the ingenuity of man has contrived; whatever the patient can tell us as the result of his observation of himself or of his sensations; whatever his friends and attendants have noticed concerning his appearance, actions, speech and condition, physical or mental, which differs from his condition and actions when in health,all these phenomena together constitute what we call the symptoms of the patient. I conceive that it would be a waste of time to examine the alleged distinction between symptoms and ” the disease.” Since we have made the term symptom cover every phenomenon, whether it be felt by the patient, or observed, seen, handled or heard by the physician, it is manifest that we can know nothing of any disease except by the presence of symptoms; that its presence is announced by the manifestation of symptoms; that when the symptoms have all disappeared we cannot know that any disease exists, and that therefore by us, for all practical purposes, the totality of the symptoms must be regarded as equivalent to, and identical with, “the disease.” Let, then, the bugbear of a disease as distinct from the totality of the symptoms never more haunt your path-way in practical medicine. Hahnemann directs us to acquaint ourselves with every deviation from the patient’s normal, healthy condition which we can observe; to gather from the patient’s friends and attendants all of a similar character that they have observed; to listen to the patient’s statement of everything of the kind which he has noticed, and of all unusual sensations and pains which he has experienced, and all unusual phenomena of which he has been conscious, whether of body or mind. You will perceive that here are two classes of phenomena referred to, viz. : such as may be observed by the physician or attendants and friends, and such as are perceived and can be stated only by the patient himself. The former, which may be the objects of study and observation by the physician, are called OBJECTIVE symptoms. 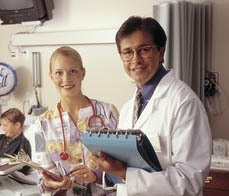 The latter are the subjects of the patient’s own consciousness, and are styled SUBJECTIVE symptoms. We may notice and study the spasmodic twitching of the facial muscles, the alternate flushings and pallor in a case of facial neuralgia, but the patient alone can make us aware of the sensation which he experiences simultaneously with those twitchings and flushes. In a case of pleurisy we may detect a friction sound denoting dryness or roughness of the pleura, or the dullness denoting effusion; we may observe the deviation from the natural symmetry of the thorax; the labored and hurried breathing, the short, dry cough and the expression of suffering which accompanies it, but the patient alone can tell us that he suffers from a stitch in the side, where it is, what direction it takes, what provokes and aggravates and what relieves it. The physician and attendants may notice and observe the accelerated yet unsustained pulse, the dulled perceptions and sluggish or perverted intellection, the red, or dry, or cracked and trembling, tongue, the elevated and uniformly fluctuating temperature of body, the tympanitic abdomen, the tenderness about the coecum caput coli and the enlarged spleen which characterize a typhoid fever; but only the patient could have made known to us the failing strength of body, mind and will, the peculiar headache and the desolate sense of illness which, perhaps many days preceding the commencement of the doctor’s attendance, began to take possession of him. We meet with few cases which do not present throughout their course, or at least in some portion of it, both subjective and objective symptoms. If there be an exception, it is that of some chronic affections, consisting exclusively, so far as our observations enable us to speak, of pains and abnormal sensations. I say so far as our observations enable us to speak, for I can hardly conceive of an abnormal sensation except as coincident with some structural change of tissue, although this be so fine as to elude our present means of research. On the other hand, we meet cases presenting at first view only objective symptoms, as for example, chronic, cutaneous affections and heterologous formations. And yet I believe that in every such case, if we take a broad enough view of it, including the history of the case, we shall find a tradition of subjective symptoms. However this may be, and whatever may be their relative number, and what comparative importance we may be disposed to attach to them, these are the two varieties of symptoms which patients present to us. Now we may study symptoms under two views, with two different objects: First, we may study the science of symptoms as a branch of medical science, as a department of the science of biology,much as we study physiology, which is the other department of biology,without any view to a practical application of the results of our study, without any reference to a proposed application of the therapeutic art, without considering how we shall remove the symptoms by interposing the action of a drug; and Second, we may study symptoms with reference to the practical application of our knowledge in bringing drug action to bear upon the patient’s symptoms. Let us first consider the study of symptoms as an independent department of science. It is one, let me say, which has not received the attention to which its great importance entitles it. The patient is before us, the object of our observation and inquiry, just as the healthy human being is before us when we study his constituent tissues and organs and their respective functions in pursuing the sciences of anatomy and physiology. We observe his objective symptoms and learn from him his subjective symptoms. A fact of prime importance for us to remember at the outset of our inquiry is this: that as in nature there are no accidents, so there can be no symptom which is not directly the result of some immediate cause operating in the organism of the patient; no abnormal appearance or condition of any tissue or organ which does not proceed from a modification of its cell structure, its nutrition, or of the normal proportion of the tissues which compose it; no abnormal sensation experienced by the patient which is not the result of some change, either appreciable in some tissue of the body, or assumed to exist therein, or referred to the indefinite realm of dynamics, the convenient habitat of functional derangement for which we have not as yet discovered any structural substratum. No symptom, then, is to be passed over as unimportant. We know not how important that which now seems most trivial may tomorrow be proved to be. This we know, that everything in the human organism, as in the universe, moves and occurs in obedience to LAW ; and when we observe the phenomena of nature, we fail of the reverent spirit of the true and faithful student, if we pass over any phenomenon assuming it to be of no account, just because our faculties are so little developed that we cannot see that it has any significance. If it be true, as the Lord of Glory tells us, that of two sparrows which are sold for a farthing not one falls to the ground without our Heavenly Father, that the very hairs of our head are numbered, how can it be that changes of tissue or of excretion or secretion should occur, that abnormal sensations should be experienced save in accordance with some law of the organism? The noble sentiment of the Latin poet, ” I am a man: Nothing that is human can be alien to me,” is true in a physical no less than in a moral sense. It is our object to observe everything that is a deviation from the healthy condition. We must then keep up, during our observation, a constant recollection of the condition of organs and tissues, and the performance of function in the healthy subject; and our observation will be a sort of running comparison. Our object is to note every deviation. We must necessarily follow some method in our investigation, otherwise among such a multitude of objects some would surely escape us. If it be necessary for a dog in hunting to scour a field according to a certain method of lines and angles, surely method must be needful when we are beating up this complicated field of the human organism, and that too in search of game which does not start up at our approach. We may adopt the REGIONAL method and survey the whole body, passing from region to region in anatomical order. This is a valuable method and indispensable to a certain extent. It fails, however, to give us sufficient information respecting organs and tissues which, from their situation, are entirely removed from our physical examination or exploration, as, for example, the kidneys and the ovaries. The anatomical method of investigation must be supplemented by what I may call for a moment, somewhat incorrectly, the physiological method. By this we seek to arrive at the condition of an organ or its tissue, or of the parts of an apparatus by examining how it performs its functions. Thus, by examining the excretions of the kidney we form some conclusion respecting the condition of that organ. If we find albumen and certain microscopic objects in it, we may be certain that a portion of the kidney has become changed in a very definite way, which, however, we could not otherwise recognize during the life of the patient. The same is true of many other organs. This knowledge has been obtained by accumulated observations of the symptoms of diseases, and of the results of diseases as noticed after death. But so difficult is the art of observation, and so hard is it to obtain from patients all of their subjective symptoms, for the reason that patients have not been trained to the observation of natural phenomena, and are not good observers even of themselves, that we should hardly succeed in getting all the symptoms of a case if we did not add to the regional and the physiological another mode of observation. The history of disease has taught us that when certain symptoms are present in some one organ or apparatus of the body, there are almost sure to be present certain other symptoms, objective or subjective, in other organs often anatomically quite remote, and of which the patient probably is hardly aware until his attention is called to them by the physician. I may cite as examples the fact that certain pains in the head, persistently experienced by the patient, are found, by observation of a great many patients, to co-exist with certain uterine affections, of the existence of which the patient was hardly aware; and the immediate symptoms of which would probably have been overlooked in the recital. Another noteworthy instance, a recent discovery, is the coincidence of a certain morbid condition of the retina with a form of Bright’s disease of the kidney, to which attention may thus be called at an earlier stage than that at which the kidney symptoms would have discovered it. To recapitulate, then: we observe the changes in form and structure which are open to our senses, we use whatever methods we possess to discover others; we illuminate the interior of the eye, the rima of the glottis, the canal of the urethra, the meatus of the external ear. We sound the thorax and the abdomen by the methods of percussion and auscultation; we analyze the secretions and excretions, and reason from the results through our knowledge of the history of disease to a conclusion respecting the condition of organs and tissues hidden from our observation. Thus we obtain our complete series of objective phenomena. We then address ourselves to the task of taking the subjective symptoms of the case. Availing ourselves of the regional method which investigates in topographical order one region of the body after another; the physiological method which traces sensations from one organ to another, and leads us to look for sensations or even objective symptoms in some part of the body because we know them to exist when certain others are present; and, finally, employing our knowledge of the history of disease to trace symptoms, both subjective and objective, from one organ and apparatus to another, we make up our series of subjective phenomena. Now, it may occur to some of you that when I speak of the modifications of tissues and organs found in the patient, and of the necessity of exactly observing and studying them, I am advocating the study of pathological anatomy; and that in showing how a study of the connection of symptoms in the patients may greatly facilitate the discovery of symptoms by showing their mutual connection, dependence and succession, just as the study of physiology enables us to grasp the phenomena of the healthy organism, I am defending the study of pathology. And so I am. For just here we have the province of pathology and pathological anatomy, which are indispensable instruments in the study of symptoms. Let us not be frightened from their legitimate use for the reason that they have been put to a false use. If we disregard these auxiliary sciences, our collections of symptoms must be for us incomplete lists of unmethodized and unarranged observations. How can we imagine that any department of medical science can exist and be pursued which would not be a useful auxiliary to the physician ? Let us turn now from this glance at the independent study of symptoms as a science, to their study as the means to a practical end. As practitioners of medicine, what is our object in collecting and studying symptoms? If we regard our duties to our patient in the order in which they were stated in my last lecture, that we are to ascertain for him where and what he ails, whether and how soon he can recover, and finally what will cure or help him, we study symptoms, first of all, to form our diagnosis. Viewed with this object, the symptoms we have obtained from the patient at once classify themselves in our minds. Certain symptoms take front rank as indicating the organ which is chiefly affected, and the kind of deviation from a healthy state which exists in it. Such a symptom is called pathognomonic ; and is entitled to that epithet if it be found only when a certain diseased condition exists, and always when that condition exists. We cannot pronounce a symptom to be pathognomonic, nor recognize it as such, unless we are acquainted with the history of disease. Then we require to form our prognosis. Here again we must have a knowledge of the history and course of disease, that we may recognize any symptoms which indicate a lesion so extensive that recovery is unusual or impossible. We must know, likewise, the history of disease, as its course is capable of being modified by medical treatment, and by different varieties of medical treatment. THIRD: Our object in the study of symptoms is to get into position to ascertain what drug shall be applied to cancel the symptoms and effect a cure. This is the practical end. The homeopathist obtains his series of symptoms, and then, in accordance with the law, SIMILIA SIMILIBUS, he administers to the patient the drug which has produced in the healthy the most similar series of symptoms. Now, in speaking of the independent study of symptoms as a science by itself, I have urged the necessity of eliciting all of the symptoms, both objective and subjective, bringing every auxiliary science to aid in the search for symptoms. But when we come to the practical application of the law, SIMILIA SIMILIBUS CURANTUR, when we come to place side by side the two series of symptoms, those of the patient and those of the drug respectively, it is manifest that those of the patient to which we find nothing corresponding in the symptomatology of the drug, are of no use to us in the way of comparison. Practically, then, unless the observation of symptoms as produced by drugs in our provings is developed PARI PASSU with that of symptoms as observed in sickness, there will be much of which practically we can make no use. And you will find this view to explain much that is said in disparagement of the study of pathology and pathological anatomy, and of any aid which they may afford to the practitioner. The difficulty resides in the present imperfection, respectively, of the sciences of pathology, symptomatology and pathogenesy. Of the symptoms which we have obtained from our patients, the question of their relative value must occur to you. I have mentioned pathognomonic symptoms and their supreme value as determining the diagnosis. Are they as valuable when we are in search of the right remedy ? To answer, let us see what we are doing. We are seeking that drug of which the symptoms are most similar to those of the patient. We may have seen in our lives a hundred cases of pneumonia. Every one of these presented the symptom which is pathognomonic of pneumonia. And yet the totality of the symptoms of each patient was different, in some respects, from that of every other pneumonia patient. And this must necessarily be so, because the diseased condition of each patient is the resultant of two factors, the morbific cause, assumed to be the same for all, and the susceptibility or irritability to that cause, which susceptibility may be assumed to be different for each; the resultant must be different for each. We must look, then, for the symptom which shall determine our prescription in some other symptom than the pathognomonic, in some symptom which from the diagnostic point of view is far less important, in some subjective symptoms, or in a condition which individualizes. Is it essential that the pathognomonic symptom of the case should be present among the symptoms of the drug ? Theoretically, it certainly is. Practically, in the present rudimentary condition of our provings, it is not. We attain a brilliant success if not a certain one, where it has never been observed; although I think we are bound to assume, and are justified in assuming, that were our provings pushed far enough it would be produced. This subject will come up again hereafter. Recalling now the practical division made of symptoms into objective and subjective, the question presents itself: Do we, in the practical use of our symptom series, make use of objective symptoms as in the independent study of symptoms? Unquestionably, wherever the character of our provings has made this possible, and indeed wherever clinical observation has supplemented the provings. In skin diseases, wherever we meet the well-defined, smooth erysipelas of Belladonna, or the vesicular erysipelas of Rhus, or the bullae of Euphorbium, or the cracks of Graphites, or the lichen of Clematis, or the intertrigo of Lycopodium, or the hard scabbed ulcers of Mezereum, from the edges of which thick pus exudes on pressure,do not these symptoms almost determine our selection of these remedies ? Or the white tongue of Pulsatilla, the red-tipped, dry tongue of Rhus, the moist trembling tongue of Phosphoric acid, the broad, pale, puffed and tooth-indented tongue of Mercurius solubilis, the yellow coat at the base of the tongue of Mercurius proto iodatus, or the patchy tongue of Taraxacum,do we not recognize these symptoms as most important indications for these remedies respectively ? Shall I further mention the objective symptoms,sandy grains deposited in the urine, or a red deposit which adheres to the vessel, or the various peculiarities of feculent excretion and of sputa, which are well-known and universally admitted indications of certain remedies, or the radial pulse, or the heart rhythm ? It appears, then, that objective symptoms are valuable indications for the remedy, just in proportion as they have been observed in proving drugs, so as to afford a ground of comparison ; and just in proportion as the observation has been precise and definite, enabling us to distinguish one case from another, or, as we term it, to individualize the case. Such is the value of objective symptoms. But, our object being to individualize the case, it frequently, indeed generally, happens that the distinctive symptoms are subjective. How now shall we examine the patient to get his symptoms ? Do you say that this is an easy matter ? Gentlemen, it is the most difficult part of your duty. To select the remedy after a masterly examination and record of the case is comparatively easy. But to TAKE the case requires great knowledge of human nature, of the history of disease, and, as we shall see, of the materia medica. We see the patient for the first time. If the case be an acute one, it may be that at a glance and a touch we shall observe certain objective symptoms which, at least, help us to form our diagnosis, and constitute the basis of the picture which leads us to the choice of our remedy. Further examination reveals other objective symptoms. For others, as well as for subjective symptoms, we must depend on the testimony of the patient and his attendants. We have then to listen to testimony, to elicit more testimony by questioning and cross-questioning the patient and his friends, and to form conclusions from their evidence. We have to weigh evidence, and here we encounter a task which is similar to that of the lawyer in examining a witness, and success in which requires of us obedience to the rules for the collection and estimate of evidence. We must study our witness, the patient; is he of sound understanding? may we depend on his answers being true and rational ? He may be naturally stupid or idiotic, he may be insane, he may be delirious under the effect of the present illness. Or, putting out of view these extreme suppositions, is the patient disposed to aid us by communicating freely his observations of himself, or is he inclined to be reticent? You will be surprised at the differences in patients in this regard. Some meet you frankly, conscious that by replying fully, and by stating their case carefully, they are aiding you to help them. Others act as if they felt that in meeting the doctor they have come to an encounter of wits, in which they are determined that their cunning shall baffle his shrewdness. Others again are morbidly desirous of making themselves out very sick, and will unconsciously warp their statement of their symptoms so as to justify their preconceived notion of their case ; and if you question them, however you may frame your question, they will reply as they think will make out the case you seem to apprehend. Others, on the contrary, so dread to give testimony which, they fear, may make it certain that they have some apprehended disease, that they cannot bring themselves to state facts as they are, but twist and misstate them as they fain would have them. I might pass without mention the case of those who deliberately conceal or deny the existence of symptoms which would betray the presence of diseases of which, with abundant reason, they are ashamed, because, I take it, you will be minded to have no dealings with those who refuse to their physician their unlimited confidence. There is another class whose statements are plus or minus what exactness would require. Almost all of our descriptive language is figurative. We describe sensations certainly according to our idea of what effect would be produced by certain operations upon our sensory nerves, E. G., burning, boring, piercing. This involves an act of the imagination. We are differently endowed with the imaginative faculty. Some persons cannot clothe a sensation in figurative language, and are therefore almost unable to describe their subjective symptoms, and are very difficult patients. Others, again, naturally express themselves in this wise, and, where imagination is controlled by good judgment, are excellent patients, because they describe their symptoms well. This is a matter dependent upon natural endowment, and not upon education or culture. Some persons who cannot construct a sentence grammatically will give us most graphic statements of symptoms; while others who have borne off the honors of a university are utterly at a loss for the means to express what they feel. Finally, some persons have a natural fervor and tropical luxuriance of expression, which leads them to intensify their statements and exaggerate their sensations. And some, like the Pharisee who believed he should be heard for his much speaking, think to attract our attention, and excite us to greater effort in their behalf, if they magnify their sufferings and tell us a pitiful tale. Others, on the contrary, of a more frigid temperament, give us a statement unduly meagre in its Arctic barrenness; or else, fearing to seem unmanly if they complain with emphasis of suffering which is perhaps the lot of all men, understate their case and belittle their symptoms. In estimating your patients in these regards, judging while the tale is being told what manner of man you have to deal with, what allowances you must make, what additions, what corrections, you will have full scope for your utmost sagacity and SAVOIR FAIRE; and of the value of this estimate of your patient I cannot speak too highly. I have often seen the thoroughly scientific man led astray and bamboozled, where one far inferior to him in scientific knowledge detected the peculiarities of the patient, made the necessary corrections, got an accurate view of the case, and then the prescription was easy. Why, sometimes the patient will, in good faith, state a symptom so incompatible with others that we know and must declare it impossible, and so it is finally admitted to be by the patient. If it be necessary to make this estimate of the patient, so must we likewise of his friends, who, besides having the peculiarities already spoken of, may be unfriendly to us or to our mode of treatment, and may thus be reticent or reluctant witnesses, or may even mislead us willfully. We make this estimate of our patient and his friends while he and they are stating the case to us; and this statement we should as far as possible allow them to make in their own way, and in their own order and language, carefully avoiding interruption, unless they wander too far from the point. We must avoid interrupting them by questions, by doubts, or even by signs of too ready comprehension of what they are telling us. It will of course happen that they skip over important details, that they incompletely describe points that we need to understand fully. But we should note these as subjects for future questions, and forbear breaking in upon the train of our patient’s thoughts, lest once broken he may not be able to reconstruct it. When he has finished, we may, by careful questioning, lead him to supply the deficiencies. We must avoid leading questions, and at the same time must not be so abstract and bald that for lack of an inkling of our meaning, the patient becomes discouraged, and despairs of satisfying us. It is never our object, as it may be that of the lawyer, to show our own cleverness at the patient’s expense, and to bamboozle him. We must, on the other hand, make him feel, as soon and as completely as possible, that we are his best friend, standing there to aid him in so reviewing his case that we may apply the cure. And so we must encourage his diffidence, turn the flank of his reticence, lend imagination to his matter-of-fact mind, or curb the flights of his fancy, as may be required. We want a statement of the case in graphic, figurative language, not in the abstract terms of science. It does not help us to hear that the patient has a congestive or an inflammatory pain (however correct these conceptions may be); but a burning or a bursting pain is available. Nor does it specially enlighten us to know that the patient feels now just as he did in last year’s attack, unless indeed we attended him then. Having received the patient’s statement and made our own observations, we have a picture of the case, more or less complete. What are we to do with it ? What is the next step ? We have now one series of phenomena. The law tells us that the drug which will cure that patient must be capable of producing in the healthy a similar series of phenomena. Seeking the means to cure the patient then, we look among drug provings for a similar series of phenomena. Let us suppose that we find one which corresponds pretty well. Not exactly, however, for here are certain symptoms characteristic of that drug, of which the patient has not complained. We examine the patient as regards those symptoms. No! his symptoms in that line are quite different. We try another similar drug, comparing its symptoms with the patient’s, and questioning the patient still further; and thus the comparing and trying proceed until we find a fit. This is a mental process, so expeditious sometimes that we are hardly aware how extensively we engage in it. But it shows how difficult it is to take a case unless we have some knowledge of the materia medica, and how much an extensive knowledge of materia medica aids us in taking the case; and this explains why the masters in our art have given us such model cases. (In consultations, a doctor will send his taking of the case. We cannot prescribe from it. We must take the case ourselves.) In thus fitting the case and the remedy be honest with yourselves, just as in getting shoes for your children. Do not warp or squeeze to make a fit. And now, before we go further, let us ask what are the symptoms generally which give the case its individual character, and determine our choice of the remedy. Are they the pathognomonic ones ? They cannot be unless we are to treat every case of disease named by a common name with one and the same remedy. Are they those which are nosologically characteristic? No, for the same reason. They are the TRIFLING symptoms, arising probably from the peculiarity of the individual patient, which make the case different from that of the patient’s neighbor. They may be a sensation or a condition. If it be metrorrhagia, the mere fact that the flow is worse at night may determine the choice between two such remedies as Calcarea and Magnesia. Relearning and fixing the false teachings. One of the saddest things in a 30 year career is realising that several years of my practice were conducted using incorrect information and wrong thinking. I have had the privilege of being able to travel the world and spend time examining original documents and being able to commit to the study of Hahnemann’s writings in detail. Once I undertook this mission I made the decision to accept the answers without prejudice or leaning towards my own inclinations and compare his instructions and conclusions with those of every other homeopath who took the time to write a book, a treatise or an instruction manual. The facts I uncovered both in relation to the practice of homoeopathy by Hahnemann and the generally accepted practice using Kent’s methodology were quite surprising. I found in general that Kent did not practice according to Hahnemann’s directions. Kent along with many practitioners of the American school belonged to the Swedenborg church and had incorporated the religious philosophical views of Swedenborg and overlaid them on Hahnemann’s writings meanings and intentions. So much so that if one was to look at the practice methodology employed by the majority of Kentian physicians, one would see the reason why there is only approximately a 30% success rate in the clinic. While many would scoff at this figure, this would appear to be the norm. One of the problems with the Kentian approach is that it is based on quasi-spiritual understanding of health and disease and therefore the parameters for concluding a person is getting better is whether or not they feel better regardless of a lack of progression towards health in the disease that the patient consulted for. A world-famous homeopathic practitioner a few years ago, was consulted by a group of people with some very serious medical problems including multiple sclerosis. After initially treating the practitioner returned a few months later to evaluate the progress of the medication. He declared successful treatment was being made because the patient with multiple sclerosis said he felt mentally better. However the reality is that prior to treatment the patient was walking and after treatment with the disease progressing he was now confined to a wheelchair. It is my contention following Hahnemann’s directions, observations and conclusions that this is not a progressive cure to restoring health. It is a misapplication of Hahnemann’s words and based on Kent’s philosophy. From 1846 onwards, for the next 50 years homoeopathy as defined by Samuel Hahnemann when practised properly, and using Boenninghausen’s therapeutic pocketbook, was seen to be one of the most successful medical therapeutics in general use. When teaching students the use of the repertory, the IHM spends considerable time examining the history and development of the repertories. We compare and contrast always to the materia Medica and point out the weaknesses and strengths of each repertory. In examining Hahnemann’s directions and thinking involved in case taking, we have found that the therapeutic pocketbook by Boenninghausen comes closest and is most accurate in reproducing Hahnemann’s thinking for the benefit of the patient. The staff and members of the IHM almost exclusively use the pocketbook to analyse the essential points of each case. Where the pocketbook does not elicit an answer based on the symptoms chosen, we use the search module contained within the P and W computer repertory and search directly within the materia Medicas. This enables us to see if our selection of symptoms defines the disease properly as expressed by the patient or requires us to go back and re-examine the case and elicit prescribing symptoms. In order to use the therapeutic pocketbook properly and benefit from it, the practitioner will need to change from the Kentian method of prescribing to the Hahnemannian method. It is not a big change but will require application to Hahnemann’s principles and an understanding of what symptoms are essential. To be completely comfortable with the methodology and make it successful in nearly every case it will entail some time spent in examining well-known Organon aphorisms and learn the real meaning and not the Kentian overlay. Whilst this may seem to be heresy for those that are steeped in Kent, the facts show that the differential approach of the great magnitude is in action. We as a research organisation merely point out the differences and ask the practitioner to examine carefully and make their own decision. The choice of the remedy in any concrete case of disease can not be made too carefully or too cautiously. No less in the healing art than in morals, the motto holds good: “Bonum ex omni parte, malum ex quorumque defectu.” Many failures occur, especially with unpracticed beginners, because in examining the symptoms the one or the other was overlooked. Even with older and more experienced homoeopathic physicians, especially such as are very busy, such an occurrence occasionally takes place. This cannot, however, prove either the insufficiency of Homoeopathy in general nor the inadequacy of the small and rare doses, and the experienced practitioner, who always looks with suspicion on such excuses, will in such cases first of all subject the image of the disease which he has formed to a new revision, and look for the lack of his success in his medication first in this direction. “Medicina nominalis,” which is altogether a different matter, and which is still doing untold mischief, for such a treatment is the very acme of irrational and unconcionable routine, and warning against such a practice would justly be considered an insult even by the youngest ofour colleagues. a circumscribed redness of the cheeks. Pressure in the stomach after eating, especially after milk, often with vomiting, first of the ingesta and then of gall. Augmented, watery urine.Extraordinary emaciation. He prefers warmth, and it agrees best with him. He feels better in moderate motion than in continuous rest. He had never been unwell much, and had never been actually sick. He could take a deep breath without any trouble, and frequently he felt impelled thereto. I could not find out anything about the allopathic remedies which he had used. to me in person in two weeks. ailments and felt as well as ever before. I.H.M. Professional Homoeopathic Course Starting in Eilat. This is the first of our intensive courses that involves monthly classroom sessions to aid the student to progress towards a full and comprehensive knowledge of homoeopathic medicine. Three years of study in a ONE year intensive course. The Institute for Homoeopathic Medicine is offering a one year intensive professional course on homoeopathic practice for medical and non-medical attendees. The course is open to those who can sustain a high level of home study. Students will take part in lectures and sessions for two days each month, over a period of 10 months. Sessions will be given in Hebrew or English, depending on the requirements of the students. All the reading material is in English. The course will give a full grounding in the knowledge and principles required to practice Hahnemannian homoeopathy. Participants will receive the IHM certificate of completion on fulfilling all course requirements, assignments and examinations. This course is a prerequisite for the IHM’s licentiateship to practice, upon completion of the requisite clinical hours, and inclusion within the IHM International Register. The course will open in February 2015, and the first lecture sessions will take place on Monday and Tuesday, 9th and 10th of February (subject to sufficient registration). The IHM is a research organization established in 1986, home of OpenREP Synopsis software and the P&W computerized Boenninghausen’s Therapeutic Pocketbook along with 17 other repertories and 330 Materia Medicas and texts. Vera Resnick, accredited IHM teacher, will be meeting with those interested on Monday 8th December 2014 in the afternoon and early evening, at the Isrotel Yam Suf hotel, to give more information about the course. If that day is inconvenient, alternative times may be available. for more information and to make an appointment.